"TRANSITIONS - Change. Movement. Dialogue" is a Solo Show by Adébayo Bolaji. For Bolaji, all change is about the process, one is becoming. That may involve a stripping away or an adding to something/someone. TRANSITIONS - CHANGE. MOVEMENT. DIALOGUE. 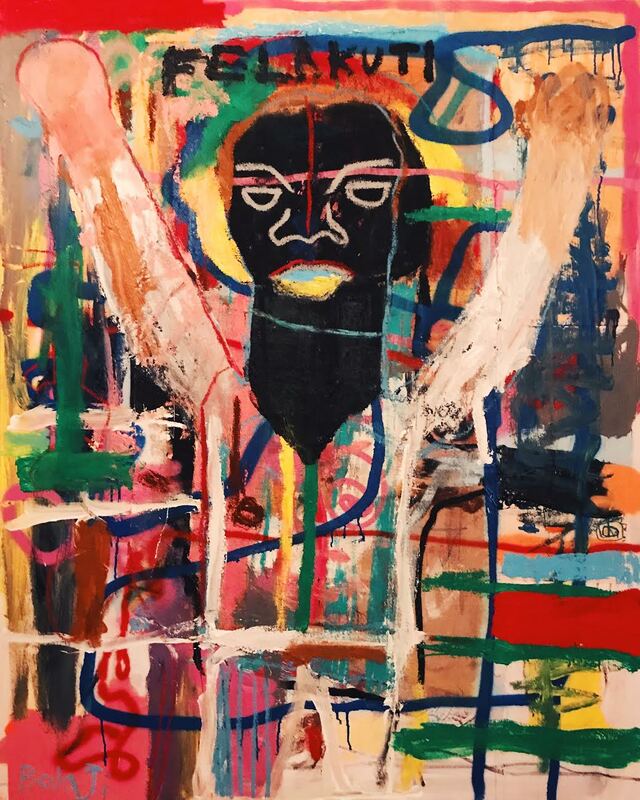 Bolaji’s way of working also involves an idea that has not yet reached its full potential - and so he experiments in constructing a narrative or subject matter… why? Bolaji sees this as ‘dealing with himself’, a kind of therapy. 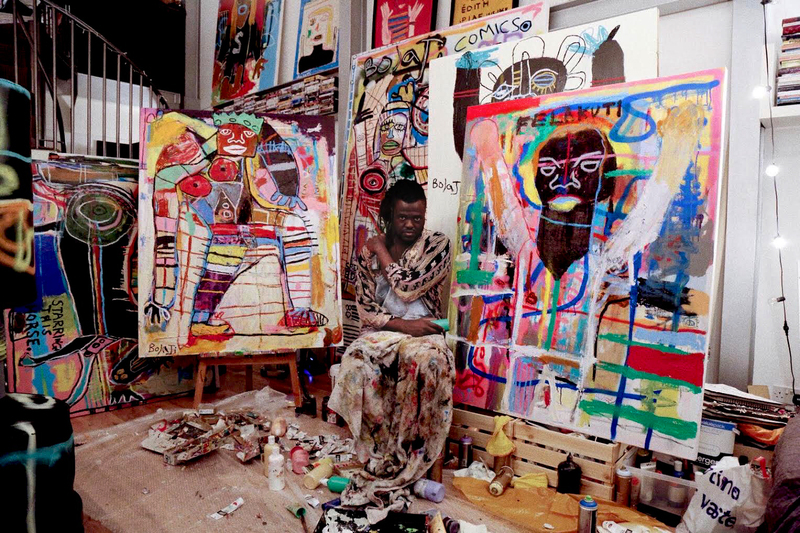 This can be seen in such pieces as ‘ A Portrait of Fela Kuti’. Fela, a Nigerian musical icon who himself underwent a fundamental process of change in his own beliefs of African ideology and philosophy against that which had been enforced (as he would say) by British colonialism. Bolaji’s subject matters seem to exhibit this idea of continual change, that we are always under this process and so in a sense, there is also a sense of positive reinforcement about such concepts as pain, confusion, … though a painting may deal with these things, they never end there, but leave the viewer with a sense of hope … that the narrative continues with them. 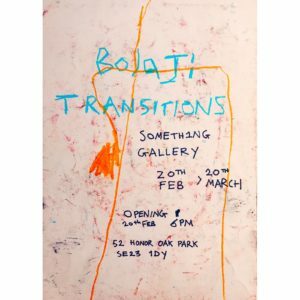 Transitions is a solo show by Adébayo Bolaji. The show will take over the front and back gallery for one month from 20th February to the 20th March 2018. Meet the artist on 20th February from 6-9pm.